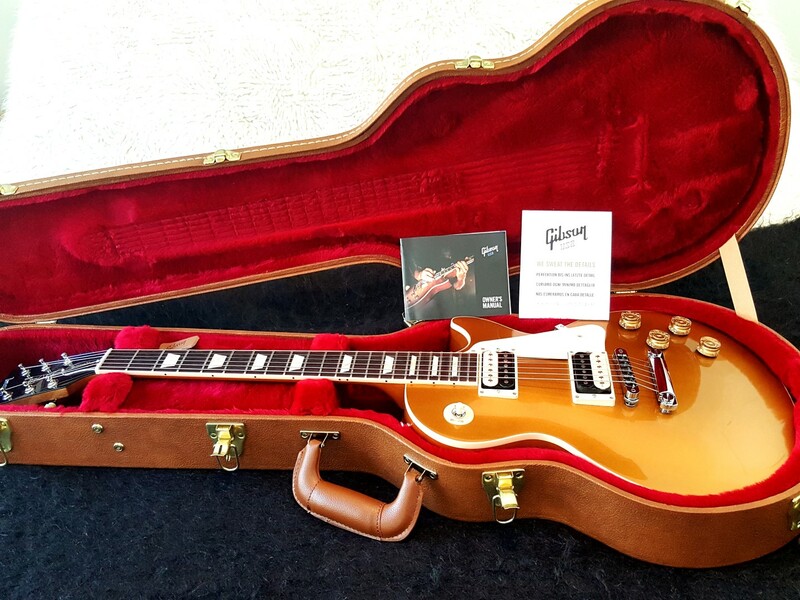 Brand new Gibson 2016 Les Paul Classic - Gold Top. Made in USA. Not been a demo in a store, un-played, mint condition. Gibson ensure's you get the most authentic, pure tone possible from this gorgeous Les Paul Classic. This 2016 Les Paul Classic has the original slim taper neck, along a pair of '57 Classic humbuckers for roaring rock and roll tone. Plain Maple Top & PAF-style Classic '57 pickups - perfect for vintage, Eric Clapton & Bluesbreakers-style Les Paul tones! Classic tonewoods come as expected, with a Mahogany body, mahogany neck and both complemented by a rosewood fingerboard. The Les Paul Classic Gold Top is a faithful rendition of the original, representing the ultimate in playability and craftsmanship of the highest standard.